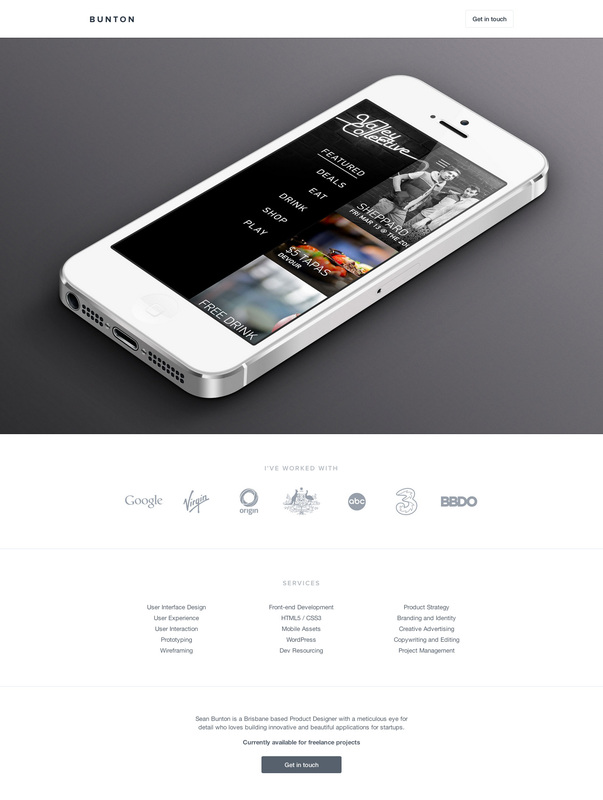 Clean One Page portfolio redesign for Brisbane based Product Designer, Sean Bunton. Nice subtle parallax effect on the slideshow as you scroll down. It would be great if the projects where somehow linked or explained. Sean Bunton is a Brisbane based Product Designer with a meticulous eye for detail who loves building innovative and beautiful applications for startups.